lol. Long live the artists! 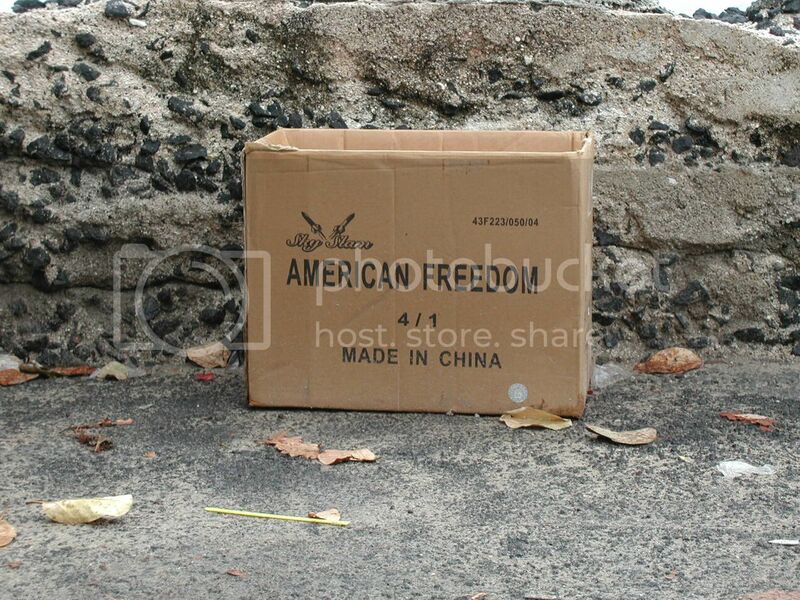 can’t ya just be a chinese artist or something? 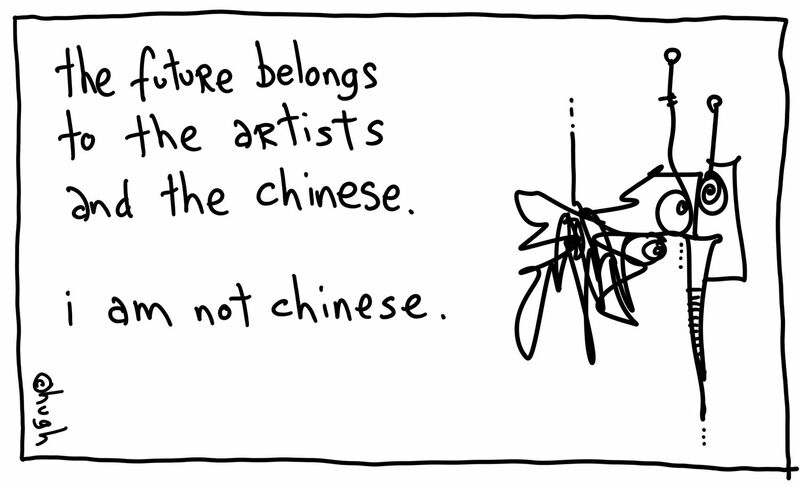 I am an artist, and I am Chinese. Does that mean that I win? Hugh, Optimist? Nice to see. 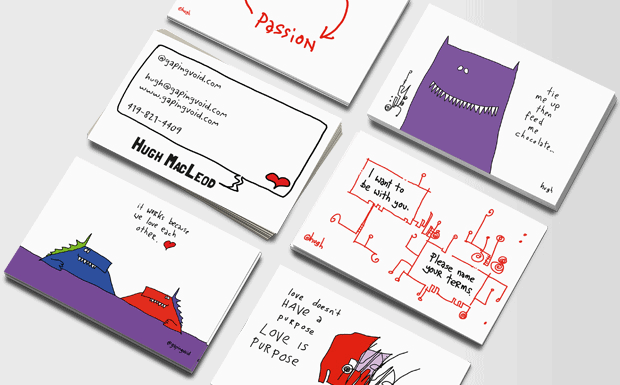 Gapingvoid – Cartoons drawn on the back of business cards in sumi-e. Anyone have an automatic article writer? Every artist has an antiartist. Every chinese an antichinese. Result = annihilation. Therefor no one has a future. My bet is on India. Chinese dynasties have never been able to stay cohesive for long. Plus, so far, democracy is the political model that gets overthrown the least. Either way, our children and our children’s children inherit some very exciting times. I am an artist and I speak Chinese. 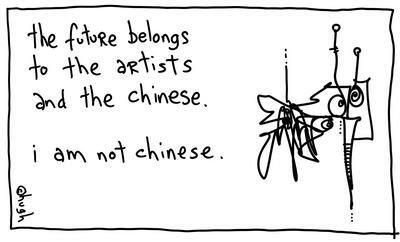 So, if you’re a Chinese artist…. I say thee yay to a great print. I’m neither an artist or chinese. I guess I should go live in the past. Can someone invent a time machine for me please? By profession, I am not an artist …I am not Chinese. I’m done. as neither i guess i’m fucked! 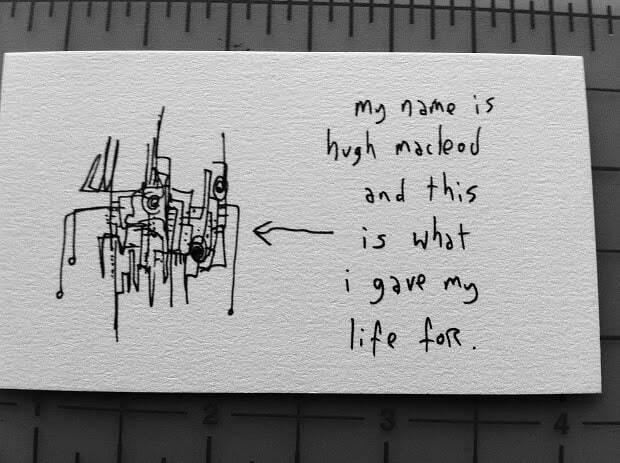 Hugh, agree with you 50% – the artists part. The future belongs to artists – period. Your square-shaped/rectangular/shaped drawings are always my favorites, – not sure why, perhaps the juxtaposition of chaos in a finite mathematical shape? I think all of us have an innate creative longing. What is the step from creator to artist? Perhaps, if you don’t take that step, you had better be Chinese…or you’re fucked? Or we should make China and India fight each other ! and leave the Hughtrain alone. Is there room for a creative non-chinese neuroscientist? Love your work. Very hard case and brilliant. ps: am an artist also but not chinese. @kiri – that means, you have two futures. choose wisely. @faheyr don’t we anyway? ‘s at least what my neuroscientist tells me. Thirty years ago a similar quote was said by one of the most famous and significant Greek music composers, Manos Hadjidakis, who had stated that “In Greece the most important artists are communists or homosexuals. And I am not a communist”. I say great minds think alike! @chris – Chinese dynasties (imperial or otherwise) have not remained cohesive for long largely because of traditions around property and wealth distribution. Estates were generally divided between multiple male heirs (in contrast with the Western European tradition of primogeniture), meaning that significant wealth could be diminished over just a few generations. I say business a performance art. We act in a certain way to communicate meaning to our audience. The performance is still up for interpretation, but if you budget is large enough, you get to do it again, refining the message and artifacts. I’m an artist and I’m learning Chinese… Does that count? Everyone should read Hugh’s Doc Searls reference post before commenting on this cartoon. There must be a lot of artists in china. How do you define art…….kung fu artist?? is this old hat ?